The Construction NVQ is a UK construction industry standard way of measuring your competence in your trade. Construction Support Line provides Construction NVQs in a comprehensive selection of trades at a variety of levels. In most cases, the Construction NVQ is required in order for you to hold a CSCS Card appropriate to your trade and role. The Construction NVQ Level you achieve dictates the level to which you are qualified to perform your trade. The Construction NVQ is awarded in 5 Levels. Level 1 indicates possession of basic site skills only. Levels 2 to 5 are commensurate with increasing levels of skill; competence; health and safety knowledge; and a broader knowledge of customer service skills, employment law and the mechanics of potentially running your own business. Assessment for your Construction NVQ is done on site, by a Qualified On Site Assessor. Construction Support Line provides on site assessment for Carpentry NVQs; Bricklaying NVQs; Plastering NVQs; Painting NVQs; Tiling NVQs; Electrical NVQs; Joinery NVQs; Welding NVQs; Roofing NVQs; Dry Lining NVQs; and Plumbing NVQs. Assessment times for your Construction NVQ vary depending on your course, and on the Level of Construction NVQ that you require. Typically, your On Site Assessment for Construction NVQ Level 2 will take one day; while Assessments for NVQ Levels 3 and 4 will take varying lengths of time according to the modules you have chosen. The average overall time it takes to qualify for a Construction NVQ Level 2 is one week. The average total qualification time for a Construction NVQ Level 3, 4 or 5 is between one and three weeks. Why Do You Need a Construction NVQ? The Construction NVQ is the recognised industry standard measurement of competence in your trade. Without the right Construction NVQ Level, you won’t get the roles that you deserve – and you won’t be eligible to possess the correct CSCS Card. 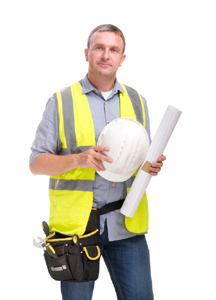 Your CSCS Card colour refers to the Construction NVQ Level you have achieved. As most UK building sites now apply strict “No CSCS Card, No Work” rules, your eligibility for work both on specific sites and for large contracting firms will be seriously compromised if you don’t have the right Construction NVQ. Each Construction NVQ is split into modules: some compulsory and some elective. For each Construction NVQ Level to be achieved, you must pass the core modules and a specified number of elective modules. If you fail elective modules you may replace them with alternatives. The further you go on your Construction NVQ path, the more modules you will need to complete. Some modules in higher levels repeat subjects passed in earlier levels, but to a higher standard and degree of complexity. As a general rule, Construction NVQ Level 2 indicates that you have a significant amount of on the job experience. Construction Level 3 denotes a high level of on the job experience, the capacity to supervise and the knowledge required to start and run your own business. Level 4 or higher NVQ in construction confirm that you are capable of holding a management position in your trade. Construction Support Line can arrange your Construction NVQ for you, including Qualified On Site Assessment. Simply use the form to request prices for your chosen Construction NVQ and Level. Construction Support Line supplies On Site Assessment and Training Construction NVQ booking and assistance for many UK based construction workers. In addition to arranging your Construction NVQ, we can also apply for the correct CSCS Card on your behalf. WIth Construction Support Line’s On Site Assessors there is no need to take any time off work in order to get your qualification and with the short overall course times listed above (average of one week for NVQ Level 2; and an average of between 3 and 5 weeks for NVQ Levels 3, 4 5 and 6) you can be qualified quickly too. To apply for your Construction NVQ please call 0203 051 1004 and speak to a member of our dedicated NVQ team.